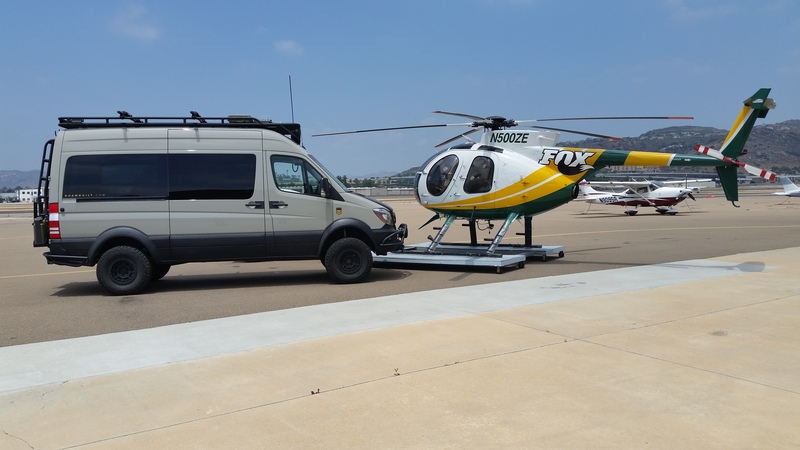 Don't tell anyone, but we have been working on some new suspension upgrades for Sprinter Vans. I just wanted to tell our good friends here on the Sportsmobile Forum first . 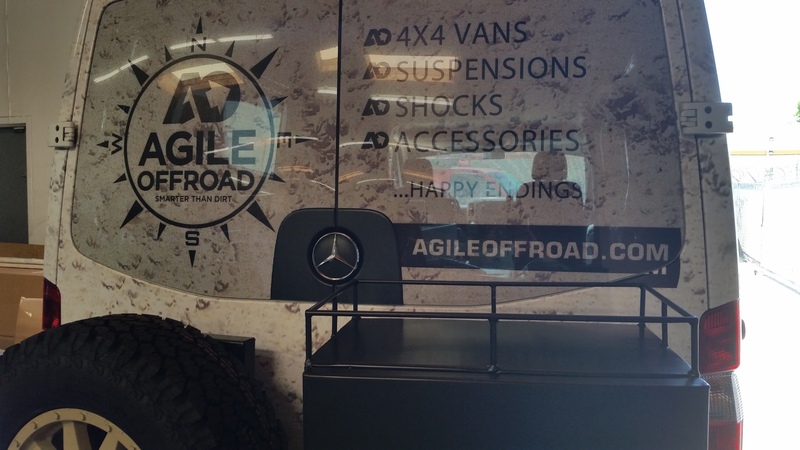 Our Sprinter RIP Kit gives you a little lift, better articulation and much improved handling. The RIP Kit is still evolving, but here is a little sumpin sumpin, for 2wd and 4wd Sprinters, to get the juices flowing! 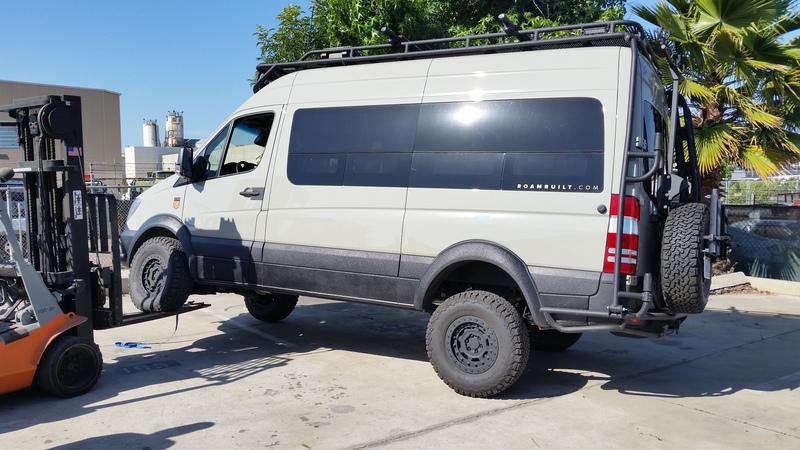 We installed just about everything on ROAMBuilt's 2015 4X4 Sprinter - what an awesome van! Here is a little Van Candy . We started at the end, rear end, where we offer custom valved FOX Shocks. We have been installing these for a couple of years now on a case by case basis. The interesting revelation is that correct rear shocks and valving is 70 percent of the battle where handling is concerned. Just like our Quigley RIP Kit, people describe the transformation as a "night and day" improvement in ride stability and handling. 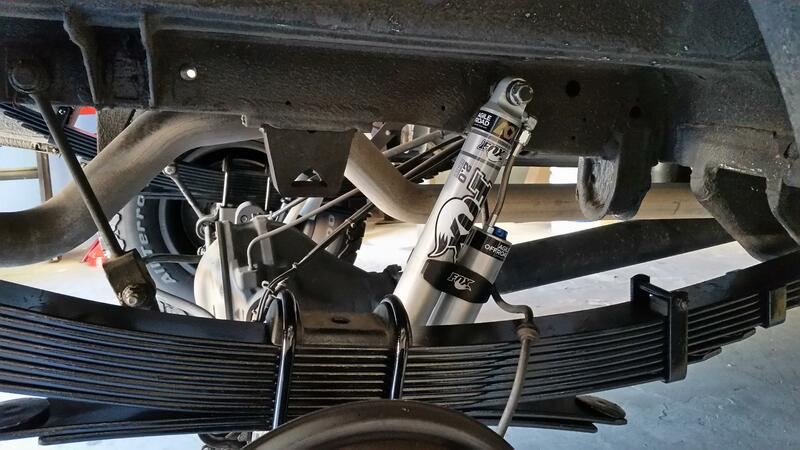 We have custom valved FOX Shocks for stock applications, and go all the way up to FOX Shocks with Reservoirs with adjustable Low Speed Compression (LSC) damping. 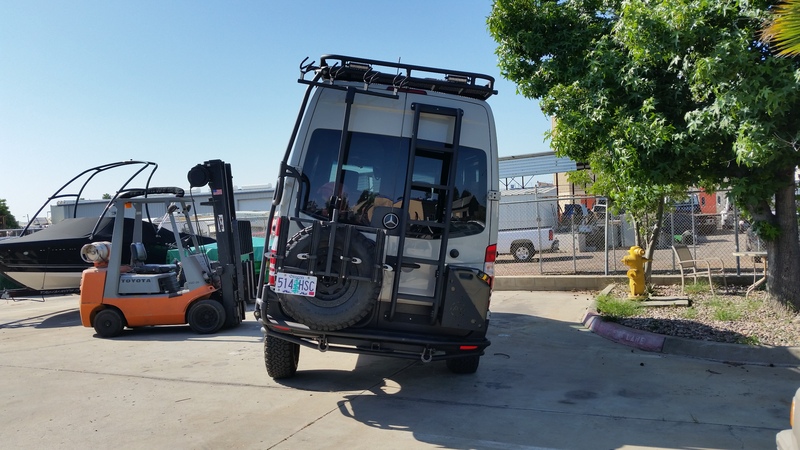 We also have custom rear leaf springs that provide a much more comfortable ride, can be tuned for different loads and provide additional lift, if desired. 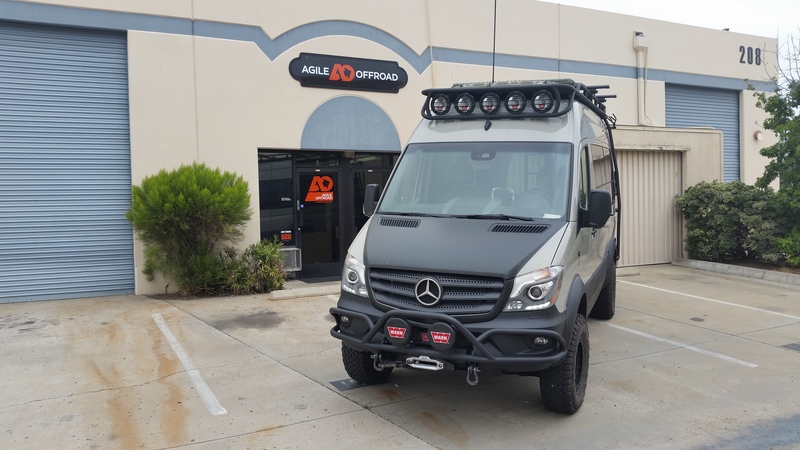 The ROAMBuilt 4X4 Sprinter got the "whole nine yards"- Agile Off-Road's custom multi-leaf rear springs and FOX Shocks with Low Speed Compression (LSC) adjustability. For the front, we are working on custom Agile Off-Road FOX based Struts, that should be available in several weeks. 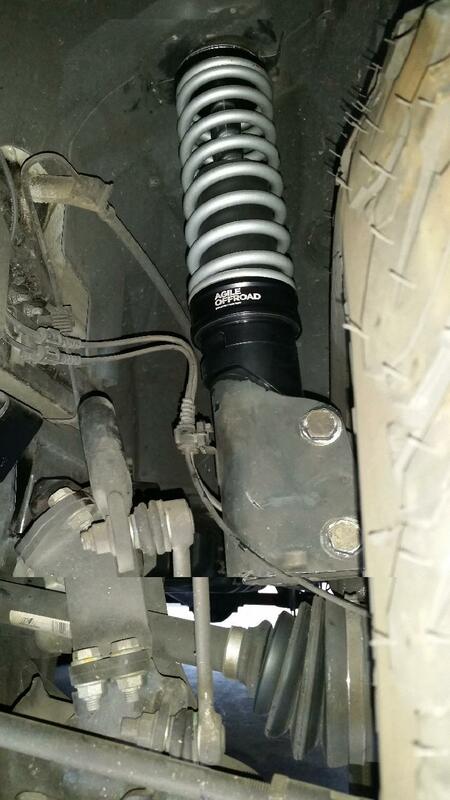 For now, we have been installing Bilstein or Koni Struts, which have improved ride quality and handling. We believe there is room for even more improvement and quality - so we are working to get our custom Agile Off-Road FOX based Struts finished. Whichever Strut you currently have or plan to change to there is often a need for additional spring rate in the front. 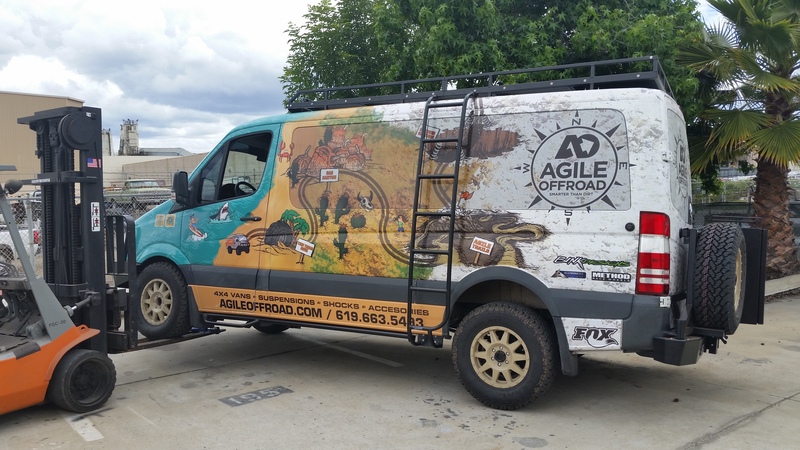 Sprinters employ a Transverse Composite Leaf Spring, and adding more spring rate is now as simple as installing Agile Off-Road's Sprinter RIP Coil-over Assist Kit. 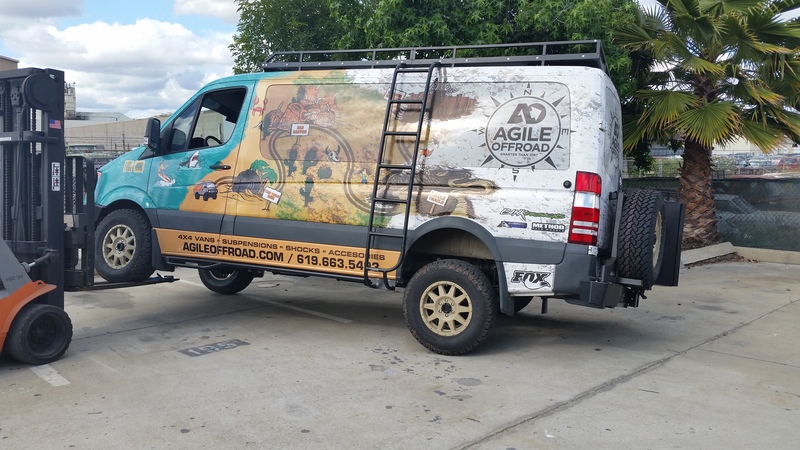 The Agile Off-Road Sprinter RIP Coil-over Assist Kit has adjustable preload settings and different spring rates to match your application. We have been installing variations of this kit for a few years now with great results. 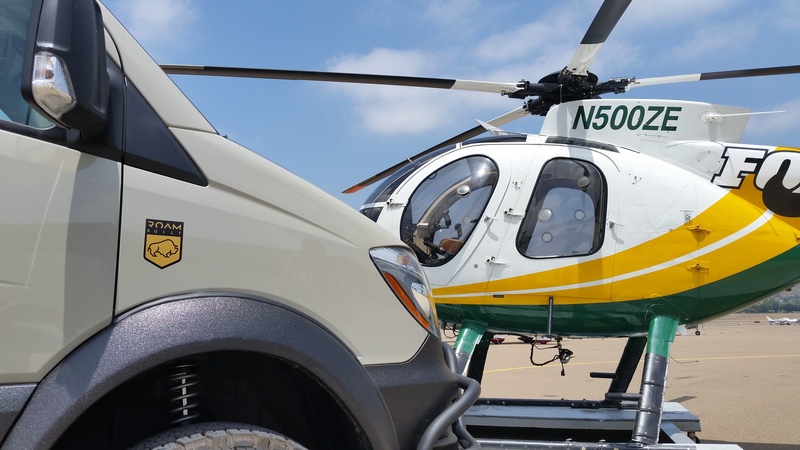 Whose Hughes 369B is that lurking close by? First, congratulations on the new offering. I bet that will sell great and result in many happy customers. Second that is a very impressive looking tan Sprinter van! COOOOOOOL! It makes the death of the 350 a little easier to take with a good substitute! Some day after Sporty has run its coarse...CONGRATS! I'm digging that front winch/bumper. Who makes it? ROAMBUILT makes all the exterior metalwork. 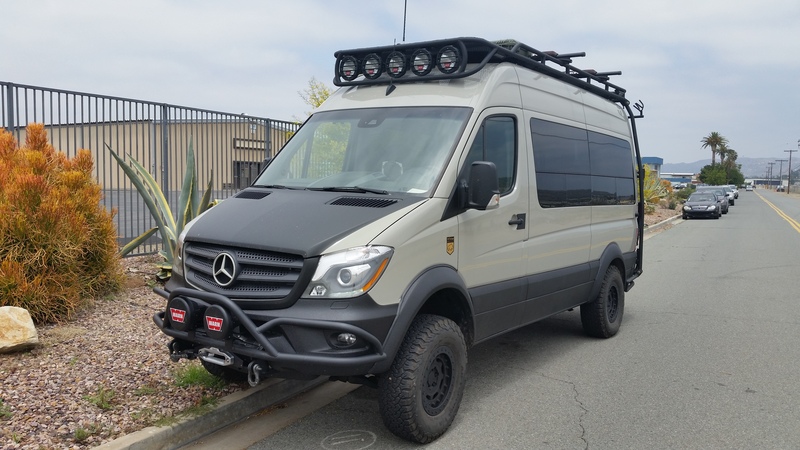 When is Roambuilt going to have their site up and running? Okay, that "bull bar" has me. Will it fit say a 2012 model?